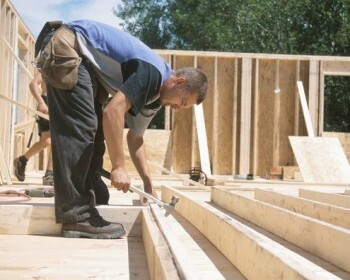 If you’re reading this then you must be thinking about becoming a carpenter, well as you probably already know it’s a great career choice with fantastic job prospects. You have the option of going self-employed if you love the idea of working for yourself with no boss to have to answer to, or you have the option of working for someone else or you could also do contract work. Carpenters are very much in demand all over the world so you always have the option of emigrating to another country (if you should ever want to). If you’re just out of school but definitely know that you want to become a carpenter then your best option may be to enrol on an apprenticeship scheme. Becoming an apprentice will mean that you will be working with an experienced carpenter who will train you up to the industry’s latest standards that is required to become a fully competent carpenter. They will teach you all the practical skills that they themselves would have gained from all their years of experience. Your apprenticeship will probably last for around 4 years and your time will be split between being taught the technical theory of carpentry at your chosen training centre and out on the job as a carpenter’s apprentice. During your apprenticeship you will get the opportunity to meet with other tradesmen and also construction workers, which may be helpful for future job prospects. An apprentice usually earns around £90 pounds a week, with many often earning more than this. Once you have completed your apprenticeship you will become a fully qualified carpenter, meeting with the latest of industry required standards, you would also have gained your NVQ Level 3 award, which is a nationally recognised award which is very appealing to prospective clients. No entry qualifications are required to enrol on an apprenticeship scheme, just the determination to achieve your goal, however if you’re over the age of 25, you may have trouble being accepted. Another thing to consider is the large volume of people trying to enrol on an apprenticeship scheme. Space is very limited and competition is very fierce. If you’re finding it difficult being accepted, then you may want to consider phoning up your local carpenter or a carpentry firm, asking them if they would consider taking you on as an apprentice. You never know they may accept, it’s well worth a try. If you would like more information about apprenticeships and how to apply call the governments free National Apprenticeships helpline. Apprenticeships helpline: 08000 150 600. You can also visit the Apprenticeships website, where you will find lots more information and you can ask for an information pack. I hope this article has helped answer your questions about becoming a carpenters apprentice and I wish you l the best with your new chosen career. Also, if you want to learn about a plumbing apprenticeship click here.